Sturmanskie started manufacturing mechanical pilot watches in Russia in 1949, as a standard issue for all Russian air force pilots at the time. 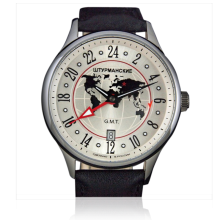 On 12 April 1961, Russian cosmonaut Yuri Gagarin became the first human to travel into space, and during his historic flight he wore a Sturmanskie wristwatch which thus became the first watch to travel into Space and demonstrated perfect functioning in the conditions of zero-gravity.Today Sturmanskie is owned by the Volmax Company, which is the leading watchmaker in Russia. 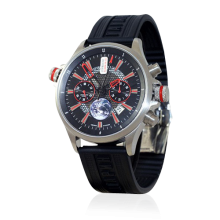 Volmax also owns two other well-known international brands, Aviator and Buran. 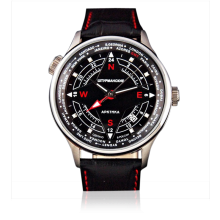 Sturmanskie, or "space navigator" watches proudly continue their unmatched history of use in space, with commemorative editions of Gagarin models and numerous other Russian space achievements including the timepieces worn during the first space walk and for the first space satellite, the Sputnik. 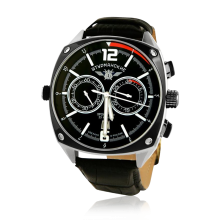 Sturmanskie collections are focused on innovative design, strict quality control and truly collectible timepieces. 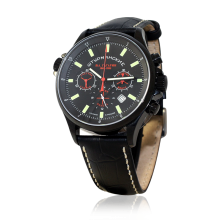 We only use top-quality materials such as sapphire crystals, titanium and surgical grade stainless steel cases, highly decorated mechanical movements and designs with historical accuracy and underpinnings. 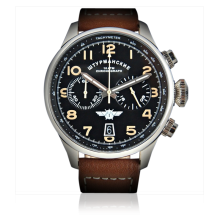 Sturmanskie watches are limited editions of fewer than 1,000 pieces each to ensure their value preservation. 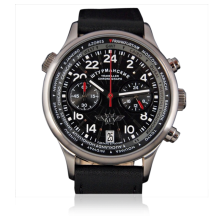 Sturmanskie offers watch collectors and aficionados an unmatched blend of history, quality and design that utilizes the best of the old world and the new.